How Does an Electric Actuator Work? 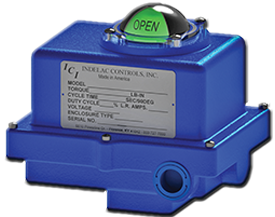 | Indelac Controls, Inc.
An electric actuator is a mechanical device used to convert electricity into kinetic energy in either a single linear or rotary motion. It automates damper or valve in order to increase process efficiency and complexity. Designs for electric actuators are based on the specific tasks they accomplish within the processes for which they’re intended, and they can vary in both dimension and size. There are now more applications for electric actuators due to the movement toward massively increased decentralization taking place in automation technology. New process controllers can now be equipped on last-generation electric actuators, which makes it simpler to meet recently updated automation standards. Thanks to failsafe capabilities that preserve user control over the process even in the event of power loss, using electric actuators is now safer than ever before. In addition to these options, three-phase motors also use voltages of 230 VAC and 460 VAC. An actuator’s brake is mounted on top of the motor. It’s responsible for stopping the media from forcing the valve open when it should be closed by locking the motor rotor in position when not in use. The motor start capacitor is the third main component of an electric actuator with AC motor. It gives the motor enough power to start. Electric actuators with DC motors do not require a capacitor. The final critical component of an electric actuator is the two single-pole, double-throw (SPDT) end of travel limit switches. One is for the closed position, and the other is for the open position. These switches provide the adequate number of electrical contacts in the immediate, closed, and open positions. Applications: Where are Electric Actuators Used? How is an AC two-position electric actuator wired? The terminal strip connects the wires with several pins. Pin 1 is almost always the neutral line. Pins 2 and 3 are the hot line for the closed and open positions. A relay, such as a control switch, splits the hot line. Does the actuator ship in the closed or open position? While our standard is to ship in the closed position, we are able to ship in the open position upon request. Additionally, our two-position calibration standard is 0-90° but we can set up travel all the way to 270°. What if the valve is not closed or opened completely? Loosening the set screw and rotating the cams to the right or left into the wanted position allows you to adjust the cams. 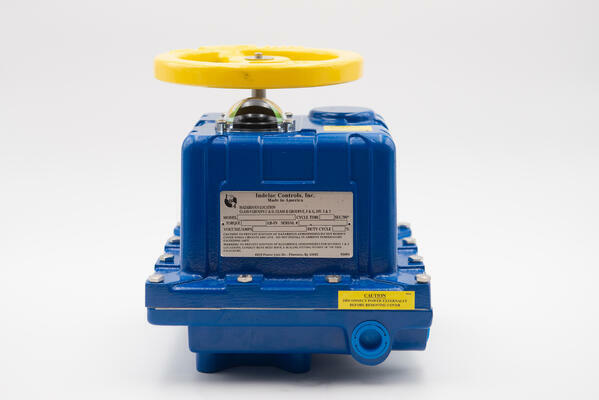 The objective is to make the actuator rotate slightly further to completely open or close the valve. Installers and maintenance technicians repeat this operation in both the closed and open positions until they’re satisfied. Do you need to apply steady power to an electric actuator? Either pins 1 and 2 or pins 1 and 3 will always have power. Limit switches cut power to the motor when the actuator has achieved the necessary position, be that closed or open. Do you really need a start capacitor and a brake on an electric actuator? Electric actuators convert electricity into kinetic energy either in a rotary motion or a single linear direction. They automate manual valve functions to improve efficiency and are a critical part of many applications across several industries. Here at Indelac Controls, we’re dedicated to providing excellent, timely service for our customers. We use state-of-the-art machinery during every step of the manufacturing process to ensure the highest-quality products. We offer quarter-turn and spring-turn electric actuators as well as internal battery backup actuators. For more information on electric actuators, download our new eBook about electric actuators.